Started in 2008 and having grown to over 300 customers in 47 countries worldwide, Frozen Mountain is an experienced provider of products and services used to create innovative solutions to real-time communication problems across multiple platforms. Frozen Mountain allows its customers to stay on the forefront of the communication and web technologies that can lower their computing costs such as peer-to-peer communication with WebRTC, browser synchronization using HTTP/Push and REST while minimizing customer risk and development costs. Jerod is CEO of Frozen Mountain Software and is responsible for maintaining the day-to-day operations of the company. His knowledge of web applications, the project lifecycle and his ability to apply technology to business problems is only surpassed by his passion for customer care. 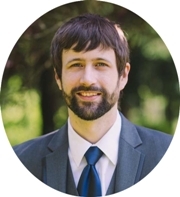 Before founding Frozen Mountain in 2007, Jerod worked as a senior project manager, senior software developer, and application architect for a variety of companies including DuPont, Siemens, and Prosperity Software Solutions. Jerod has been active in the open-source development community for several years. He holds computer and electrical engineering degrees from North Carolina State University. CEOCFO: Mr. Venema, what is the vision at Frozen Mountain? Mr. Venema: Frozen Mountain focuses on delivering solutions that involve real time technology. We have been around for seven years delivering everything from real time streaming of textual data such as stock quotes to real time video and audio conferencing and delivery for music. We are interested in anything that involves streaming high volumes of data efficiently. We love working with customers to create solutions for getting real-time data to people as quickly and efficiently as possible. CEOCFO: Would you give us an example of a common project for you and maybe something outside the box? Mr. Venema: One of the more common things that people do with our products is video conferencing. There are many people trying to add a video and audio capabilities to their mobile, web or desktop application. Companies want to be able to say that they have audio and video as part of their applications. In addition, more and more people are working remotely. Organizations are trying to cut costs by avoiding travel time. They need the ability to create a real-time work environment by providing live communication and collaboration capabilities for their employees. Outside the box - we have clients in the medical space looking at tele-medicine where medical personnel need to transmit real time diagnostic data. We provide the underlying infrastructure for making that communication possible. CEOCFO: Are there many companies that specialize in the area you do? Mr. Venema: We are fairly unique. There are companies out there that provide some of the products or services that we do � but not for every desktop, tablet and mobile device. Also, most of the people who compete with us will use a hosted solution approach requiring that you run all of your audio, video, data and everything else through their servers. That is a big problem for many verticals such as medical, banking and insurance not only because it is costly but also because there are legal ramifications around where your data goes. We provide the ability for customers to take our products, run them on their own servers and have a complete solution where their data is never leaving their environment. They are comfortable saying that it is completely secure. On the services side our offering is unique in that we provide consulting that is based on our own experiences with the complexity of real-time communications and remote development � our own developers work in different locations as well. We help our customers as little or as much as they need. Someone can come to us and say they have a particular communications problem that in many cases they themselves cannot explain very well and ask if we can design and implement a solution and we are able to do it. CEOCFO: How do you reach out to prospective customers and how would they find you? Mr. Venema: For the last six or seven years we have not actively sought out any customers, they found us. We are not a huge company but we do what we do well, so when people do find us they tend to stick with us. Because our projects involve cutting-edge technology, our customers typically want to make use of the expertise we have that allowed us to develop our products in the first place. Many times we see that our customers will work with us on a small project and when they realize that we did a great job on that project they look at a bigger one. We are actually just now finally deciding it was about time to hire someone to start actively pursuing marketing a little more and see if we can get a little more aggressive with our growth. Mr. Venema: Because in contrast to many companies that get investment to carry out marketing when they don�t have solid products and aren�t profitable, we took the approach of getting our products solid and getting profitable first. Now we have grown to the point now where we need someone who is actually able to handle the growth for us so that we are able to focus on continuing to provide the solutions that our customers need. CEOCFO: Is it hard to let go? Mr. Venema: It is extremely difficult. I am constantly fighting my own battle to make sure that I am actually keeping my hands out of it. Our company was founded by myself and my brother and we do have a unique situation in that we get along very well. We are both highly technical and we both care about each other a lot. Semi regularly, one or the other of us is saying we should relax a little bit and let someone else handle that, the company is doing fine, the customers are happy. Having a joint CEO role gives us a check and balance at the top level, which I think helps a great deal in making decisions. It still does not make it easy to let go, but it does at least help a little with making sure that you keep everything in perspective. CEOCFO: On your website it shows, �Programming is a craft and an art form.� What do you mean by that and how does it translate into what is being done at Frozen Mountain? Mr. Venema: That is a key tenet that we believe in and it results in a unique approach to projects. A typical customer will come to us and say they have a great idea for improving their offering using new technology related to what we have - but many times they do not really understand what implementing that idea entails. They do not understand any of the cost options, the nuances, the difficulties, which parts are simple, which parts are difficult. They could write out a very detailed specification and take a year detailing all the pieces they want. They could then take another year working through all those specifications fine-tuning the details of exactly what it is that they want and then finally get around to the point where they are writing some code. When done, they may or may not actually have something that solves the original problem. We like to say our approach is much more about working with what the customer is describing even if it is not perfect using more of a �revise as we go� approach. We listen to our customers describe their needs and then make recommendations based on our knowledge and their description. Just as an artist changes what he paints next based on what he has already painted, we make carrying out projects a much more fluid, flexible arrangement. At the end of the day, we are a business and we need to make money, but the way we make money is by making sure that our customers have solutions that solve their problems � even if we have to change along the way. Doing tests, carrying out proof of concepts and having lots of deliverables along the way is important in this process also. CEOCFO: Would you tell us about the different products that you offer? Mr. Venema: We have three products right now. The first one is WebSync which was our original product and is a solution for synchronizing multiple browser sessions by streaming data over the web through a synchronizing server. We have clients that are using it for anything from streaming stock data to live chat data to real time auctions. Some people are also using it for video games. We also have IceLink which has been attracting a great deal of attention lately. IceLink streams real time audio, video and data directly from one computer to another rather than requiring a central server and is based on a very new standard called WebRTC. We also have a product called The Rest, which is a stack of REST services, both server and client side, for making development on multiple platforms easier. CEOCFO: What are the next steps? What would you like to see a year from now? Mr. Venema: We are expecting a lot of growth. There are many people interested in the things that we are doing. I think the biggest challenge for us right now is expanding to meet those needs while maintaining the level of quality that our clients have come to expect from us. We are actively working on that. From a product perspective, we want first of all to continue adding additional features to our current products in order to become more dominant in the markets we are in. We are also looking to add additional products in the next year by using our skills in communications technology to develop products that sit on top of the technology we have already developed. We are also actively looking to address certain vertical markets such as telecommunications and telemedicine. Both of these verticals are actively looking to use peer-to-peer processing for high volume traffic and we expect to expand more in these areas in the next year. We already have some of those discussions going with companies looking to partner with us in these efforts. CEOCFO: How do you find people with the technical skills but also with the right philosophy? Mr. Venema: That is something we struggle with constantly. We do what everyone else does. We put advertisements and job postings out. We actually just this week decided to talk to a recruiter to see what they could do for us. The best results we have had have been referrals from inside the company. Unfortunately, those run out at some point. We provide a flexible work environment and allow our employees to spend some of their time on a project of their choosing as long as it is related in some way to what we do and that helps as well. The approach we take we usually find we have to train ourselves. CEOCFO: Put it together for our readers. Why is Frozen Mountain Software a company to notice?